Web search engines generally treat search requests in separation. The results for a given query are identical, independent of the user, or the context in which the user made the request. The new inventions of search engines will make increasing use of context information, either by using clear or hidden context information from users, or by implementing additional functionality within restricted contexts. Greater use of context in web search may help increase competition and variety on the web. Search is one of the most important functions on the Internet. It should be easy for users to find the better results, to construct a search query, to search in the right places, and to deal with the results. People use the web, and search in particular, for all sorts of needs and in all sorts of ways. The suitability of results to their searches can be evaluated from several perspectives and often along several dimensions. At present a lot of search engines are being used for different purposes. Mostly the selection of a specific search engine depends upon it’s working and the reliability of that search engine. In this case, reliability means the searching of the results of our query, quickly and with best probability. Some most popular search engines are Google, Yahoo! 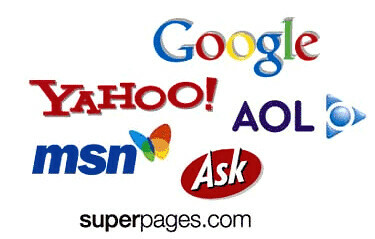 Search, Live Search (formerly MSN Search), Wiki Search, Ask.com (formerly Ask Jeeves), Alexa Internet, Auto search, How stuff works, Alta Vista and Lycos etc. Different kinds of Search Engines are used for different purposes, but here we will discuss only Google Search Engine just because it is most commonly used. And also it provides better results than others. Our main focus will be on the Web Search, using Google. There are millions and millions of Web sites out there. Unfortunately, there are many Web Sites that go away before the eyes of many searchers. Some of these sites might be familiar to us, others not so familiar, but all are worthy to take a look. As it is described before that in our daily life when we searching for a specific query, we get many results and we think that most of them are useless for us. Then why should we not look for best ways of searching even more effective and related results instead of getting so much from where it is difficult to select the results concerned to our query. If we are familiar to these techniques of most effective search, we will get better results, to the point. Now a day everybody is using Google Search Engine, but almost nobody really knows how it works and how they can get better and more effective results. The main objective of this project is to get ourselves familiar with the most effective ways of searching Web using Google Search Engine. We are careful not to pick queries that are particularly well phrased, or easy to search, or unambiguous in intent, sometimes this brings results which are un-necessary and of no importance. So, these results are just wastage of time to check them out. Second one is that, for us, being engineering students, there must be an easier approach to the new research being made in the field of technology. We can have better access to the informative web sites on Internet. So, the knowledge of some basic techniques can be even more helpful than simply typing our query in search bar and striking the search key to get our required results but sometimes it is difficult enough to get satisfactory results of our query. As more of the population goes online, and as more tasks are performed on the web, the need for better search services is becoming increasingly important. In this project, we will try to cover the maximum of the techniques and measures for the effective web search on Google. As it is described earlier most of the people do not know about the exact and effective search on search engines particularly on Google, most commonly used search engine. If they know, other than having the best solutions of their queries and more effective results, they can save their time, they may waste in searching so many websites which are not so much beneficial and helpful for them. In this progressive era of technology, time and information are arguably our two most precious resources. This project has it’s own importance for students specially for Engineering students. Just because, after having so much information about more effective and easier search on Google Web Search Engine, students will be able to get more information and to save their maximum time. Google is more beneficial for them for it’s attractive and innovative features just like Google Scholar, Google Book Search and Google Directory, Google Reader etc. Anything about Electrical Engineering can be searched out by using this feature of Google. For an Electrical engineer, the familiarity of searching techniques can be helpful in enhancement of capabilities of getting awareness of latest researches being made round the world. • Time lost to ineffective search. • Time and money lost to administration of search systems and data (both IT staff time and maintenance contracts). • Time spent tweaking and weighting documents to satisfy the requirements of complex systems. • The lost value of missing company information. • The lost value of undocumented employee knowledge. • Revenue lost through delays in time-to-market. Web Search Engine can be defined as a tool or a program that searches documents for specified keywords and returns a list of the documents where the keywords were found. A search engine is a web site that collects and organizes content from all over the Internet. Those wishing to locate something would enter a query about what they would like to find and the engine provides links to content that matches what they want. When we view search results, they are not in random order as found; but either with relevancy (based on occurrence of our terms) or based on popularity; or a combination of both of these factors. Popularity is based on how many other web pages links to a particular page. 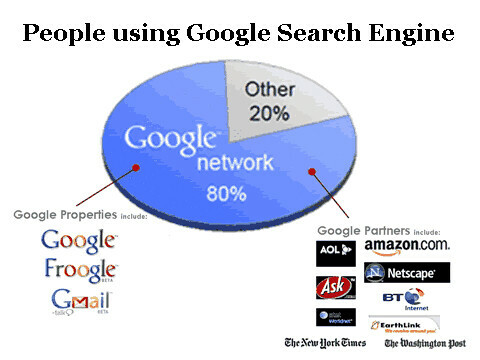 A GVU (Global Virtual University) study showed that about 85% of people use search engines to locate information. Millions of searches are done each day on multiple search engines for search queries, and the results of those queries can in different ranges. Keywords, of a query, are put into search box and then by striking the search key, we get the results in no time. Actually, a search engine, having a database, works by sending out a Spider (WebCrawler), a program that automatically fetches Web pages, to fetch as many documents as possible. Search results (sites) are ranked by highly secret and complex formulas which are also called Proprietary Algorithm. These formulas are also changed frequently by the engines. Mostly the search results are based on relevance of Keywords. There are some Open Source Search Engines (Having Open Source Algorithm) also just like GNOME Storage and Meta Tracker, which are used in Unix/Linux. Google is a popular Web Search Engine. In 1995 two graduate students, Sergey Brin and Larry Page, met at Stanford University. 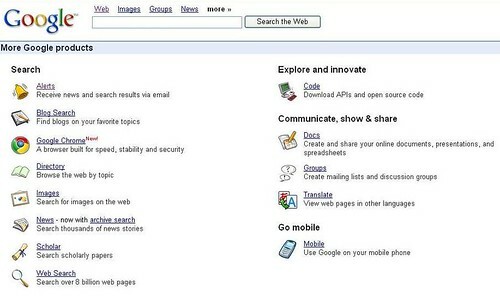 In 1996, Brin and Page collaborated on a research project that was to eventually become the Google Search Engine. Those were early days in terms of mass searching of the Internet; one of the CEOs (Chief Executive Officers), who turned them away said that users don't really care about search abilities. They, somehow, managed enough funding to get started, and in September of 1998, they began operations from a garage-based office in Menlo Park, California. In December of that same year, PC Magazine listed Google as one of its Top 100 Web Sites and Search Engines for 1998. 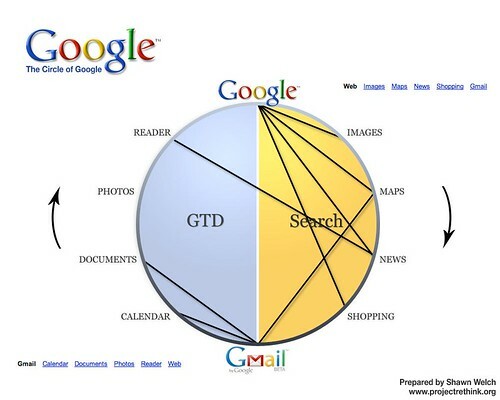 Google can be defined as a widely used search engine that uses text-matching techniques to find web pages that are important and relevant to search of a user. The details about the working and the most effective of searching web using Google Search Engine, are discussed in one of next parts of this report. Now Google is a trademark used for an Internet search engine. This trademark often occurs in print as a verb, sometimes in lowercase: “A high school English teacher … recently Googled a phrase in one student's paper and found it had been taken from a sample essay of an online editing service” (Chris Berdik). Google is also known as; Google Web Search, Googling, to Google. 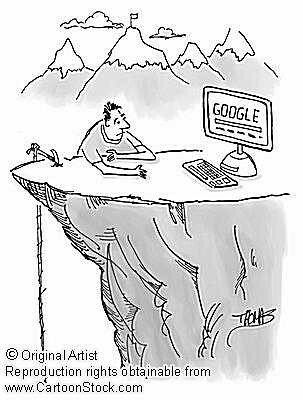 The first recorded usage of Google used as a verb was on July 8, 1998, by Larry Page himself, who wrote on a mailing list: "Have fun and keep googling!" Later on this verb “to Google” was abolished and a new term “Google Search Engine”, was suggested to be referred when actually going to search anything using Google. Google receives several hundred million queries each day through its various services. What about Google Web Search itself, Search is simple: just typing whatever comes to mind in the search box, hitting Enter or clicking on the Google Search button, and Google will search the web for pages that are relevant to our query, so simple…! The Google search engine has many intuitive features making it more functional. This would have played a role in making it as popular as it is today. Google is one of the top ten most-visited websites today. Some of its features include a definition link for most searches including dictionary words, a list of how many results we got on our search, links to other searches (e.g. we misspelled something, it gives us a link to the search results, we had typed in the correct search), and many more. It is unknown whether functionality, speed, or luck brought it its peak status. • In information recovery, the technique of term reordering is a standard technique to reduce the work involved in recovering results. This transformation is invisible to the user, since the results ordering uses the original query order to determine relevance. • Stemming is used to increase search quality by keeping small syntactic variants of search terms. While Stemming is the process for reducing change able (sometimes derived) words to their stem, base or root form, generally in a written word form. • There is a limited facility to fix possible misspellings in queries. • While searching something, we must be careful about our wording to be used, because every word matters in search results. • Remember that search is always case insensitive. For example, searching for [the daily news] is the same as searching for [The Daily News]. • Punctuation must be ignored: we can't search for @#$ %^&*() = + \ and other special characters. For example; for the use of the verb in cricket, we must see Googly. For other uses, “Google”, should be used. The use of either word in place of other may bring ambiguous results, i-e *Google** is an Internet company and brand. 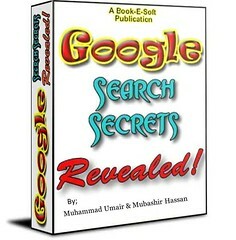 Google's search engine normally accepts queries as a simple text area, and breaks up the user's text into a sequence of search terms, which will usually be words that are to occur in the results, but may also be phrases, enclosed by quotations marks ("), qualified terms, with a prefix such as "+", "-", or one of several advanced operators, such as "site:" etc. The Google Help Pages document all of these additional queries. The qualified terms are defined as the terms which modify or restrict the meaning of the words being used as our query. Google supports several advanced operators, which are query words that have special meaning to Google. Typically these operators modify the search in some way, or even tell Google to do a totally different type of search. For instance, "link:" is a special operator, and the query [link:www.Google.com ] doesn't do a normal search but instead finds all web pages that have links to “ www.Google.com ”. Several of the more common operators use punctuation instead of words, or do not require a colon. Among these operators are OR, "" (the quote operator), - (the minus operator), and + (the plus operator). Many of these special operators are accessible from the Advanced Search page, but some are not. Below is a list of all the special operators Google supports. “doc:” extension is used to search MS Word files. “.ppt” files of Power Point. “.pdf” (Adobe Acrobat files) files in no time. One of the most notable objects on the Google Web search is the I'm Feeling Lucky button. Ordinarily when we type in a key phrase in a Google search, we press the search button, (we can also just press return or enter on our keyboard) and Google returns a results page that shows multiple Web sites matching our search phrase. The I'm Feeling Lucky button skips the search results page and goes directly to the first ranked page for that search phrase. In the following figure, “I’m Feeling Lucky Button” is indicated. If we type "nust" in the search box and press I'm Feeling Lucky button, we will go straight to the Web site of National University of Sciences & Technology ( www.nust.edu.pk ). If we type "seecs" into the search box and press I'm Feeling Lucky button, we will go directly to the Web site of “NUST School of Electrical Engineering & Computer Science” ( www.nseecs.edu.pk ). I'm Feeling Lucky button is handy if we are fairly confident that the first result in the search engine is going to be exactly the page we want to find. It saves time and clicking to just go to the page with the first click. As most of the people consider Google, a search engine just used for searching web sites, but there is a world of knowledge and information inside Google. • Book Search: Use Google to search the full text of books. • Images: We can see relevant images in our regular web search results. • News Headlines: Enhance our search results with the latest related news stories. • Phone Book: It is only about street address and phone number information. • Product Search: To find a product for sale online, we can use Google Product Search. • Q&A: Use Google to get quick answers to straightforward questions. • Site Search: Restrict our search to a specific site. • Street Maps: Used Google to find street maps. • Weather: We can check the current weather conditions and forecast for any location. In this modern era of technology, telecommunication is making a fast progress. in this environment of competition we have to make efforts to define our own standing. In order to make more and more research, there is need of awareness of researches being carried out round the world. By this project students would be able to get updates more easily by avoiding the wastage of time. • We can search out web sites from the whole world. • We can search books on this search engine. • Images and pictures as well can be searched through this website. • Using Google Reader we can have an easier access to updates about the topic of our interest at E-mail Address of Google mail. Now we have proved it that Google is the best search engine in this world. 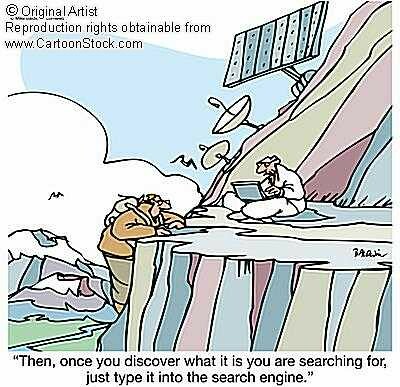 In spite, we have a lot of many engines in this world , but they are mostly included searches in a specific topic but by using this engine we can search about any topic like religion, politics, sciences, jobs, inventions etc. Watch this Video "It is Good to Be a Muslim"